Request Space for your Organization's Event! Student organizations are a vital part of the student experience at Daemen College, and we are home to over 65 unique, student-lead groups! With so many organizations on campus, there is always something to do, share and explore. 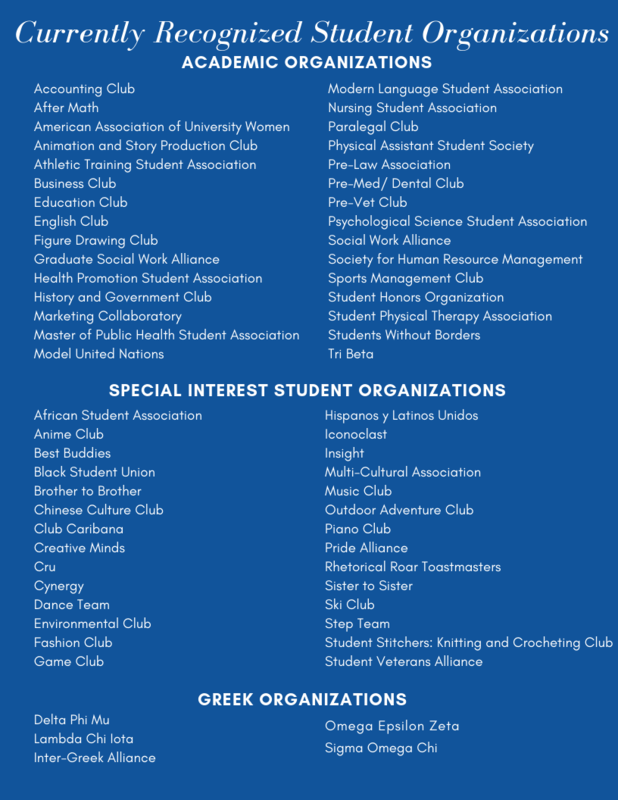 Student organizations receive funding from the Student Government Association, provided by the activity fees that every student at Daemen contributes to. If you can think of a club that we don't already have on campus, you can create a new one! To learn more about what all of our student clubs and organizations are doing, check out their DC Link Pages!